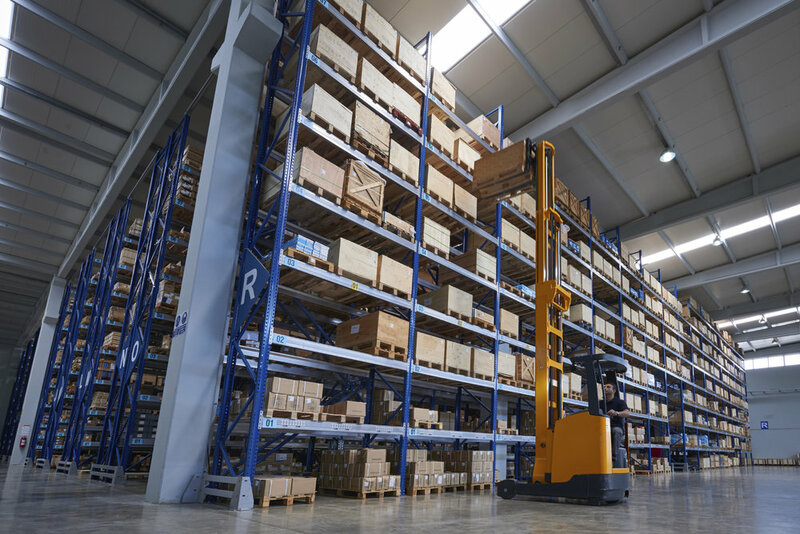 When people think of an organized warehouse, they likely imagine rows and rows of meticulously managed shelves, featuring groupings of similar items in alphabetical or price order. Yet thanks to an automated inventory management system powered by barcodes and barcode scanners, one of the biggest retailers in the history of the world runs its warehouses with a system called “chaotic storage.” This method, wherein items are placed seemingly at random on any available shelf space, appears to fly in the face of everything we expect from Amazon, a monster online retailer that ships billions of items every year. There are some companies that could never dream of utilizing warehouse space in this way, because they continue to use manual processes (such as Excel spreadsheets) to record inventory movement, or don’t use any inventory management system at all. The pitfalls of not moving to an automated system in this day and age are numerous, and include issues with order accuracy, inflated tax bills and customer service fails. Yet even those that have made the switch to inventory management software can find themselves stuck executing their receiving, shipping, returns and more in traditional ways that limit productivity and efficiency without realizing it. While not every company is Amazon, which broke Black Friday sales records in 2015 by reportedly selling over 5 million products in one day, their model may be the one to replicate going forward, considering their outstanding success. 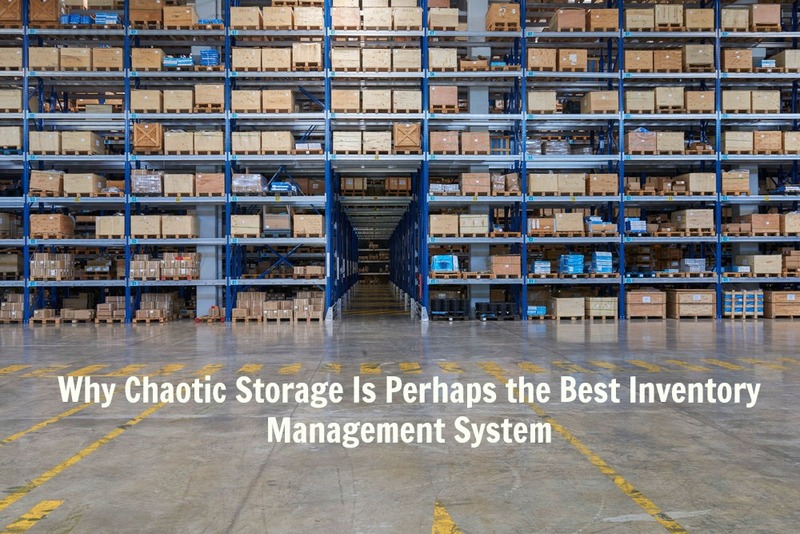 As noted above, chaotic storage isn’t as simple as leaving products strewn around the warehouse and searching blindly when it’s time to send them out. It all starts with a quality inventory management system, powered by automated software. This software is a collection of business applications that track product sales, the purchases of raw materials and other processes along the supply chain. Businesses no longer need to use a pencil and paper to perform basic actions like re-ordering, and can instead move their employees’ focus to analyzing data and reducing inefficiencies. Why is automated software better than manual processing? Spreadsheets are notoriously error-prone, and inaccurate records are the source of longer lead times, which in turn create a slower response to changes in demand. Your business could suddenly find itself out of a hot seller just as demand is surging, forcing you to turn away customers, killing profits in both the short-term (that’s a sale you could have made) and long-term (you’re less likely to get a customer back once you lose them, and it’s expensive to “buy” new customers compared to getting old ones to return). Your business could suddenly find itself out of a hot seller just as demand is surging. Businesses usually see a return on investment for inventory management software in five main areas: managing inventory, saving space, maximizing labor, satisfying customers and reducing wear and tear. All of these areas are based on the premise of a more organized warehouse, but the word “organized” can mean many things. In reality, anytime a product has a barcode label (and its corresponding shelf space, bin or other storage area has one as well), it can be organized. That’s where chaotic storage comes in. Barcodes, both traditional, linear barcodes and more complex 2D barcodes, are translated into alphanumeric codes by a barcode scanner, mobile computer or even smartphone app, which correspond to information in the company database such as price, available inventory and sometimes photos or instructions (those latter two are often found in 2D codes, which can hold significantly more information than traditional codes). Amazon doubled the power of barcodes by placing them not only their products, but on their shelves as well. At Amazon, employees armed with barcode scanners take incoming products and place them in unoccupied shelf positions, regardless of what other products are around them. Since each product and shelf have unique barcodes, the staff is able to record where each product was placed, so when the time to ship out comes another employee just reads off the computer’s picking list. By scanning every item every time they are moved, the database stays current. Flexibility: Empty storage space is filled up immediately, which means the warehouse becomes pliable to the needs and demands of the market. Space: According to a “60 Minutes” piece on Amazon, the company says that using chaotic storage allows them to store twice as many goods at their warehouses than they did five years prior. Accuracy: While it may seem counterintuitive to keep items stored next to (and on top of, and under) markedly different products, this helps employees avoid mix-ups, i.e., the wrong size or color item, that would doom an order and possibly harm the company’s reputation. So keeping the make-up next to the sports equipment is actually an added layer of protection against errors. Optimization: Amazon warehouses are enormous, some are more than a million square feet. Rather than having employees trek back and forth to fulfill an order with varied contents, the system can compute an optimized fulfillment route. Human element: If you’re a business owner who values being a job creator, there’s no need to worry about a technology upgrade leading to a more impersonal work environment. Amazon finds that using human employees armed with barcode scanners is actually more profitable than relying on robots to store, sort and ship products. There are exceptions to the chaotic storage system, including items that need to be refrigerated, kept at different humidities, or are bulky slow-sellers that can’t be stored normally. There is also room for error, such as when the computer system goes down and no items can be located. However, the possibility for a computer crash pales in comparison to the numerous, common errors that are spawned by using Excel spreadsheets. Large, successful retailers don’t have to worry about lots of small mistakes adding up, and take great care to ensure their systems are always up and running. Indeed, the humble barcode and its related technologies are more powerful than we give it credit for, just ask Amazon, which has rode this “pedestrian” technology to profits that are anything but. How could a chaotic storage system organized by a dedicated inventory management system revolutionize your warehouse?